Creating products in today’s rapidly evolving development environment can seem intimidating, to say the least. Managing your product’s time to market (TTM) becomes increasingly important when competitors are hovering in the wings. We get it. When you can shorten TTM you capitalize on a longer lifecycle of your product. And you can position marketing strategies with greater predictability. All of which is so important to your bottom line. 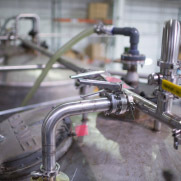 Through the Temperance Distilling process, we are able to streamline formulation to production leaving you in a better position to sell your products in a timeline that corresponds with your marketing strategy. 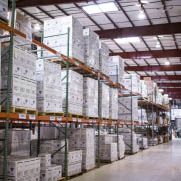 We are uniquely positioned with in-house experts on nearly every aspect of the product development and production cycle; which means you benefit from a one-stop-shop, cut out the back and forth between other vendors, and trust the reliability of a well-versed industry team that not only hits production deadlines, but also keeps you compliant so there are no delays. Time to Market is affected by process, by production, by warehousing, and by compliance. 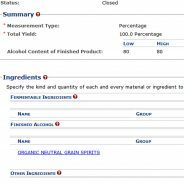 Temperance Distilling handles it all, puts you in front of your competition, and lets you stay focused on selling your delicious product to the consumers who crave them – right when they want them! To learn more about our specific process, contact us today.